Harbor Community Clinic is a leading provider of primary care services for patients in and around San Pedro, CA, and the surrounding Los Angeles and South Bay areas, providing preventive care like physicals and immunizations, as well as treatment for acute and chronic illnesses. A primary care provider is usually a patient's first choice for care when sick or when scheduling an annual exam or well visit. Primary care providers are skilled in providing general health services including treatment of acute illnesses or medical conditions and management of chronic conditions. In addition, a primary care provider offers preventive care services such as physical exams, lab tests, health screenings and immunizations, as well as advice for leading a healthier life. Primary care providers can also determine when you need to see a specialist for care of a specific type of disorder or more in-depth evaluations. Your primary care provider can play an important role as your partner in helping you maintain the best health possible at every stage of life. 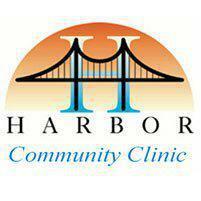 What kinds of primary care services does Harbor Community Clinic provide? Harbor Community Clinic is a leading provider of primary care services, offering a full range of services including routine physical exams, vaccinations, health screenings, treatments for injuries and illnesses, and other care well and “sick” visit care. Plus, the clinic offers obstetrics and gynecological services as well as mental health services to help patients receive complete care in one convenient location. One of the advantages of choosing Harbor Community Clinic as your primary care provider is the whole-health approach that enables patients to be treated for multiple conditions in one location for better overall health and wellness. How often do I need to see my primary care provider? You should see your primary care provider any time you're sick or have a medical condition that needs attention or ongoing monitoring. In addition, you should schedule annual checkups to help maintain the best possible health and to look for signs and symptoms of serious diseases.